It’s no secret that I’m all about simple meals. That includes breakfast. I’ve been on an overnight oats kick for awhile now and I’ve made all different varieties of overnight oats. However, I never thought to add peanut butter to my overnight oats until I was sent the new Peanut Butter & Co Might Nut Powdered Peanut Butter. Read on for the easy and delicious recipe and then learn how you can win your own container of Mighty Nut! 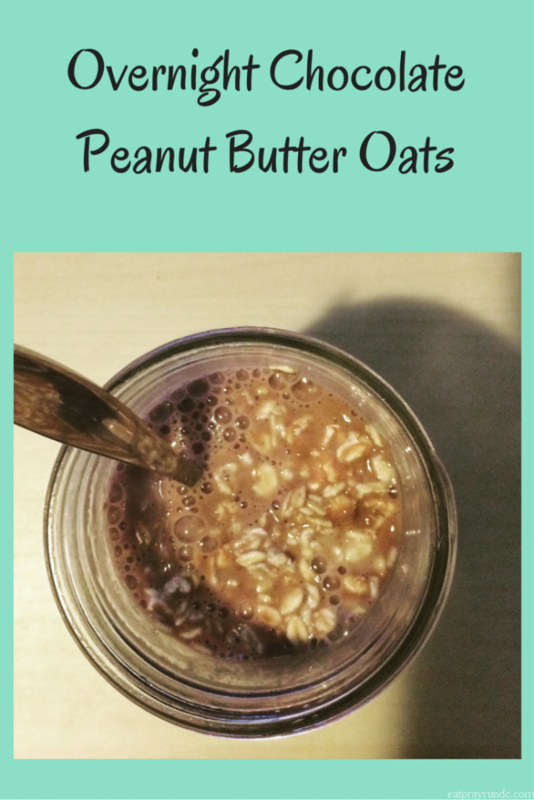 Add 1/2 cup of oats to a sealable jar – I use Ball jars (affiliate link) for my overnight oats and they work great! So what exactly is powdered peanut butter? Giveaway ends Oct 31, 2015. This post was sponsored by Mighty Nut and Fit Approach but all opinions are my own. The flax and chia! Or the chocolate, they all sound good! I really like simple meals as well. I don’t like to “waste” a lot of time cooking. I know…maybe I’m just lazy LOL. These do look good though! Courtney, I haven’t made any overnight oats in a while; thanks for the reminder! 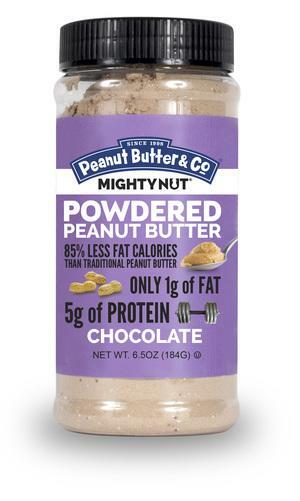 I’ve been using PB2 powdered peanut butter, but this one sounds great; I’ll have to see if I can find it! Thanks so much for sharing this! I love overnight oats. But I’m so limited right now with my milk choices. I wonder how it would taste with goats milk? Hmmm, I’ve never tried goats milk – what’s it like? I am obsessed with PB&Cos White Chocolate Wonderful, but have never see any of their powdered stuff. It’s SO good and kinda fun to mix up! I LOVE powdered peanut butter and have been using it for a while now!! I love baking with it!